Google My Business is one of the more important ways to ensure that a local business gets found online. 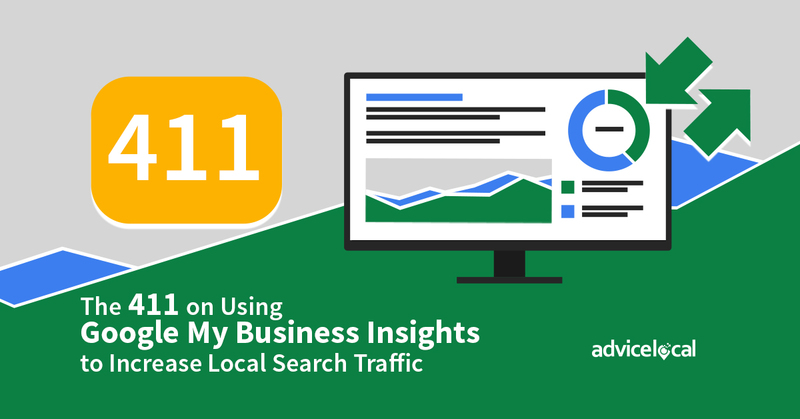 Today, we are going to look at how to navigate and understand Google My Business Insights. Here’s a step-by-step tutorial full of secrets to learning about GMB Insights. Google My Business – Is it Easier Said Than Understood? For us marketers, it’s moderately simple to navigate the Google My Business (GMB) dashboard and a GMB listing, but when a business owner logs into their GMB account, it can be a bit more of a challenge. 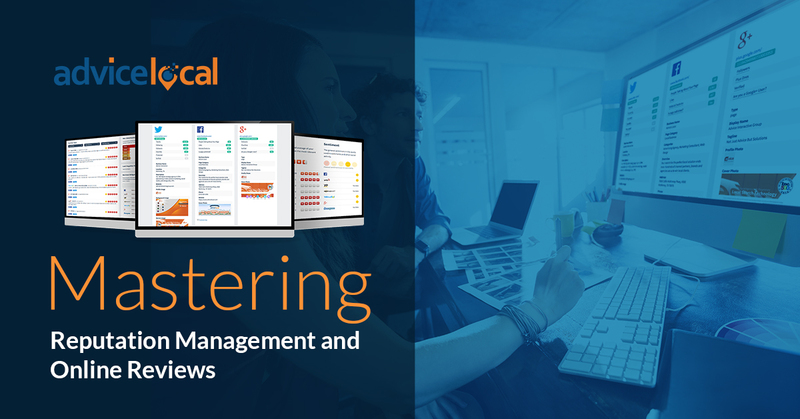 The information within the dashboard and within a GMB listing can be as useful as it can be damaging when not properly understood, optimized and maintained. We have two how-to’s on that to help – How to Claim and Optimize a Local Business Listing on Google My Business and How to Create a Google My Business Listing. 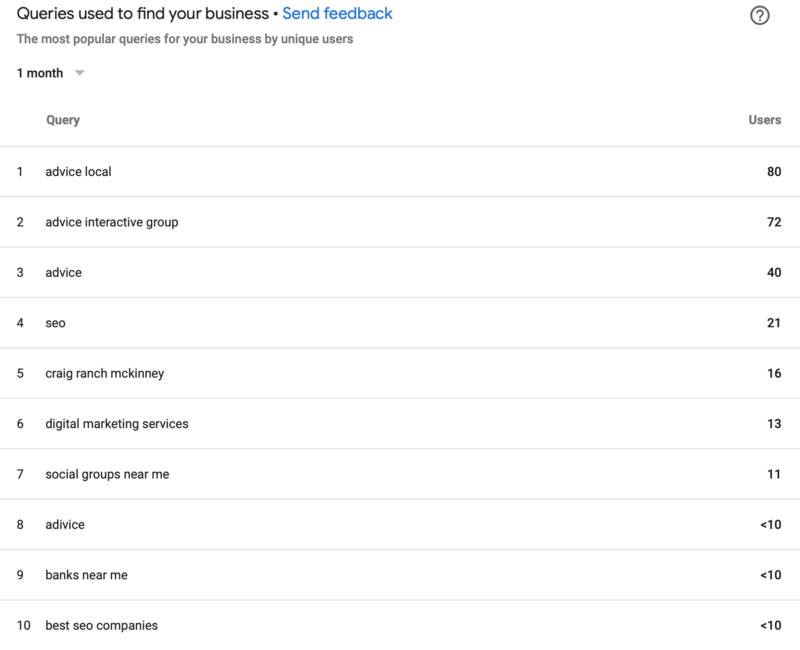 Let’s walk through each component of the Insights section of Google My Business and explore how we can gain new insights and maximize these insights for greater local visibility. Once logged into the GMB dashboard, the user will see a navigation menu on the left side. From this menu, the business owner can go to Posts, Info, Insights, Reviews, Messaging, Photos, Website, and Users, among others which may vary depending on the industry. Once there, it is simple to navigate to the Insights tab, which will open a section of the dashboard that will let the business owner learn more about how their business is getting found in search results. This section is a chart divided into direct traffic, traffic from searches where the consumer typed in the business name and address directly; discovery, which means users were looking for products and services similar to those provided by the business; and branded, which is when people find the business when looking for a competitor in the same industry. To increase traffic coming from the discovery or the branded sections, it’s always important to make sure that the GMB Listing includes the business’ main services and products. Using images to optimize the business’ listing is also very important. According to Google, businesses with photos receive 42 percent more requests for driving directions to their location and 35 percent more clicks through to their websites. Keyword Searches – Are They Delivering the Goods? 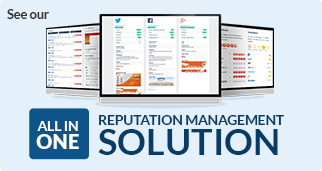 As you can see, our main keywords are the name of our business, Advice Local, and other variations like Advice Interactive Group, or simply Advice – even a misspelled version of it! But positions 4, 6 and 10 take us to some of our areas of expertise: SEO and digital marketing services. The term “Craig Ranch McKinney” is a geotag, as our offices are located in the Craig Ranch development of McKinney, TX. While phrases like “social groups near me” and “banks near me” demonstrate how important the “near me” search has become, these are keyword phrases we would not want to place in search results for. Even though our business is neither a social group nor a bank, we are still showing up on search results for people in the area. This means we need to review our GMB listing a bit more and determine why we are showing up for these phrases. Some phrases missing that I would like to see included here are “local seo,” “local search companies,” and “listing management providers.” Just because we are not surfacing for them doesn’t mean we are not optimized for them. It could be that consumers are not searching for these phrases in conjunction with “near me” or while on-the-go. Perhaps these are more the types of phrases someone would search for from a desktop computer or laptop. This tells me additional research is needed before making any changes to our listing. 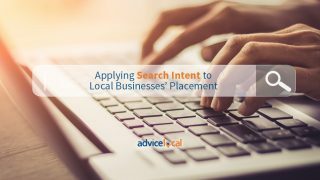 Information exactly like this is important for local businesses because it provides insight into what people are searching for, not just how they found the business. Are changes needed for the business’ content? Maybe the business needs to be more specific about their services or add geotags. 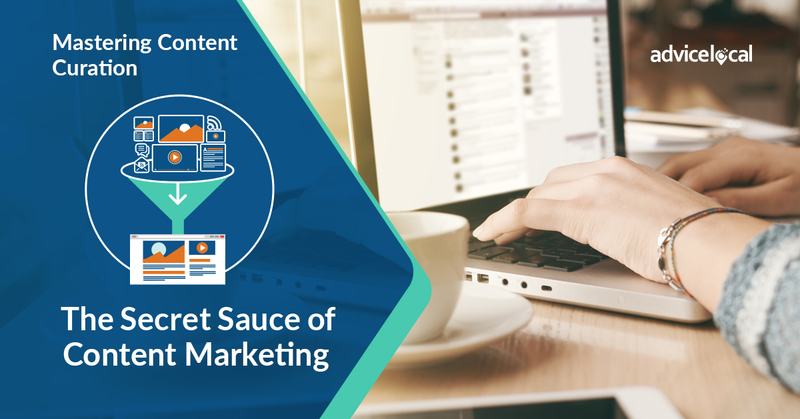 It is important to make sure the business’ content is optimized for the keywords they want to place in search results for, but also for the keywords that people – potential customers – are actually using to find the business. It’s a given that users simply don’t want to scroll down more than they need to in order to find something they are looking for on a website or in search results. 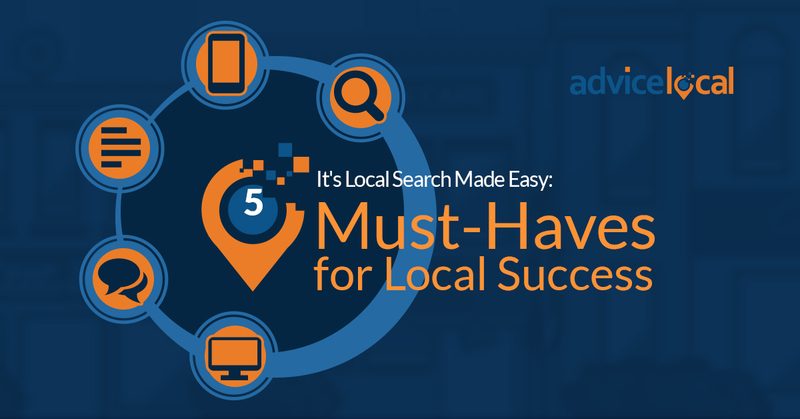 When looking for a local business, the Map view is absolutely essential. Reviews are important for local businesses, but when a user is faced with the decision between two local businesses, both with great reviews, it is likely they will choose the one that is closer to them. As shown in the image above, Advice received a total of almost 5,000 views in a single month, with more than 4,400 coming directly from the GMB Listing on Maps. In order to appear on Maps, it is necessary that a business’ NAP (name, address and phone number) is up to date. Any inaccuracies could lead to confusion and the potential loss of a customer to a competitor. The contact information, or NAP, can easily be edited through the “Info” section with the GMB dashboard. The Info section includes hours of operation – with a distinction for special or holiday hours – phone numbers, and website, among others. Customer Actions is the next area within the Insights section. 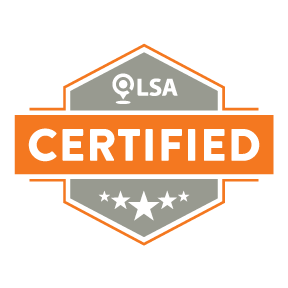 It lets the business owner understand what users did when they reached their GMB Listing. Did they call the business directly? Did they visit the business’ website or ask for directions? Depending on a particular business’ industry, the actions they want customers to take may vary. 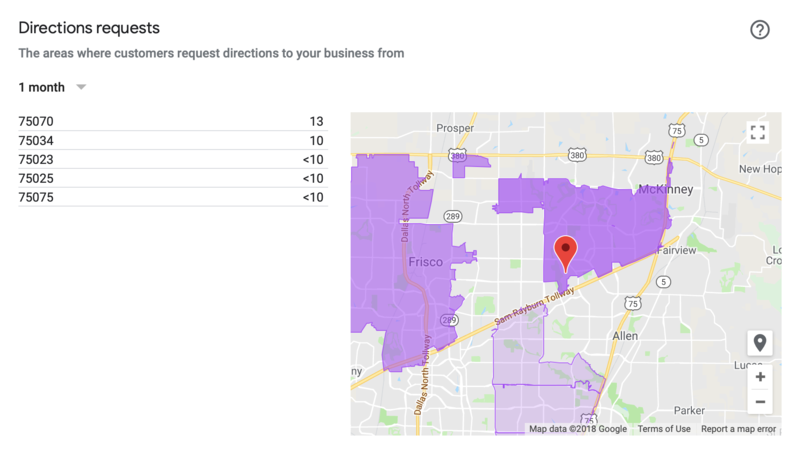 For example, a local restoration company might want to see more calls directly from their GMB Listing, while a coffee place might benefit from customers requesting directions to their store. This particular insight reveals areas of opportunity for a business to improve, whether on their listing or directly on their website. Are they putting out the correct content? Are they being specific enough and serious enough? Too many phone numbers? All of these questions can be answered by making data-driven changes to the listing, resulting then in the kind of conversions that a particular business would want to see. For us, we are going to put up more Google Posts with a CTA that will take the searcher to a page on our website. This could be promoting a content piece, a download, or requesting a demo. Here’s a detailed article on leveraging Google Posts to get more business and site traffic. Check it out. Localization is key for the super-empowered consumer. They want to support local businesses that are truly in their neighborhood, that are close to their location and understand their needs. Remember, the “Near Me” generation is taking over. This is why this next Insight in the GMB dashboard is so important. It gives a list of zip codes from which customers requested directions to a particular business. This information is essential to local businesses as it helps them see which areas they should be targeting on their websites and with paid advertising, while also making sure content is optimized for each location where potential customers live and work. 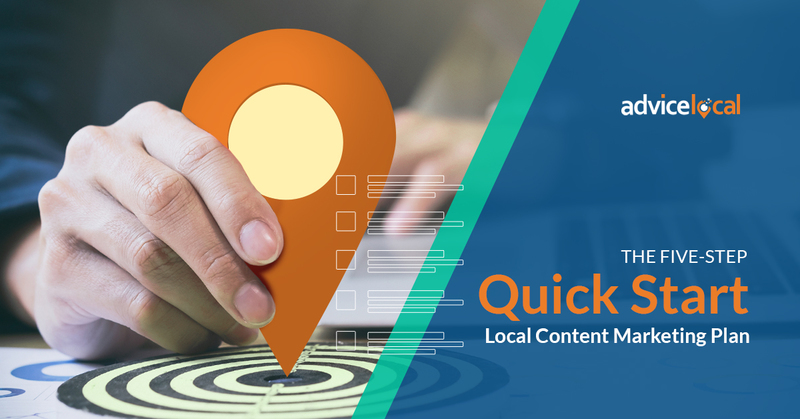 Location pages with localized content are a must on every local businesses’ website. 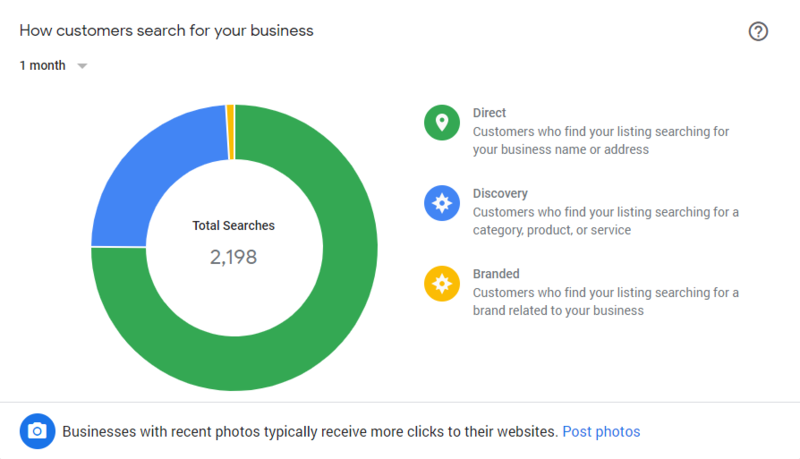 As mentioned earlier, images are a crucial component of an optimized Google My Business Listing. Having not only the correct type of images but also a variety is all about finding the right balance. Ideally, a business would want to show as many images as possible of their office or store, as well as of their team members and services offered, depending on the industry. As shown above, the Advice business listing has over 3,000 photo views to it, while similar businesses have fewer than 200. Our photos get 1.52K percent more views – that is one thousand and fifty-two percent more views than other similar businesses. Wondering if images are important? Our listing got almost 5,000 views in a single month. Images are probably a factor. It’s not just about the business uploading all the images themselves, either! As you can see above, our listing has a fair amount of images uploaded by other people. While it says “customer photos,” these images can also be employees visiting the business. I highly recommend integrating an approach to get more customers uploading images, too. 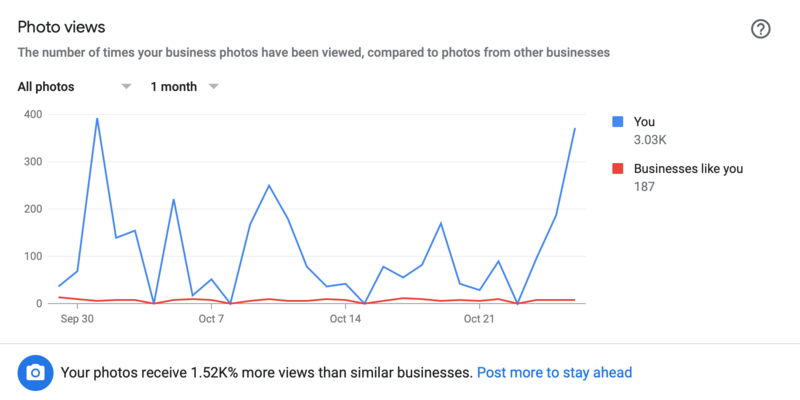 We’ve written an extensive article on how to optimize images for Google My Business Listings, including everything from the right size to the right format and other recommendations made by Google. When it comes to Google My Business, we have the team and the talent to help our partners reach more consumers in search results. 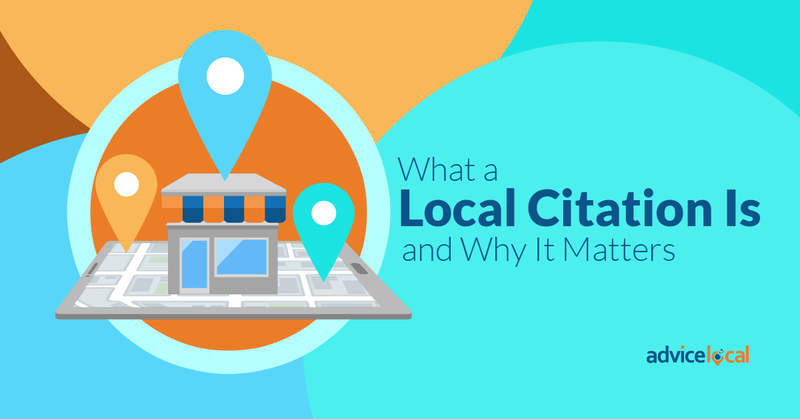 While Insights can be a big help in optimizing a local business’ listing, there is much more to it such as categories and descriptions, among other things. 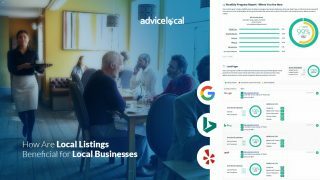 The team of experts at Advice Local is ready to help our partners – agencies, brands, franchises and SMBs. 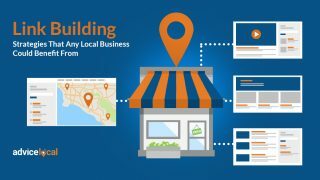 Getting local businesses found online – we do it best! Request a demo today and we’ll walk you through how to get started. How to Build Brand Loyalty With Humility, Google My Business and Maybe Some Help from Yelp! ?